Are there stinky sneaks in your family? Freshen them up with this simple, all natural recipe for a DIY deodorizing shoe powder. 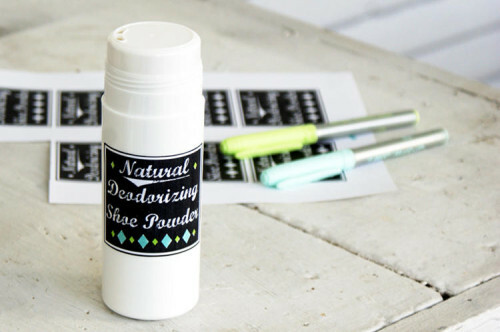 This easy deodorizing shoe powder recipe will help keep your shoes smelling fab even if they don’t always look the part. 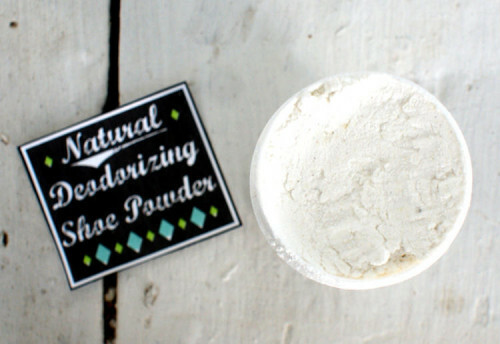 Made from easily obtainable all natural ingredients, this deodorizing shoe powder recipe is kind to both your shoes and your feet. Simply sprinkle some in your shoes overnight or before wearing with – or without – socks! Using a digital kitchen scale , weigh out the baking soda and arrowroot powder into a large glass bowl. Then measure out the lavender flower powder and lemon peel powder and add to the bowl. Mix all dry ingredients together with a fork. Next, add the essential oils to the powder base, then whisk with a fork until thoroughly incorporated. 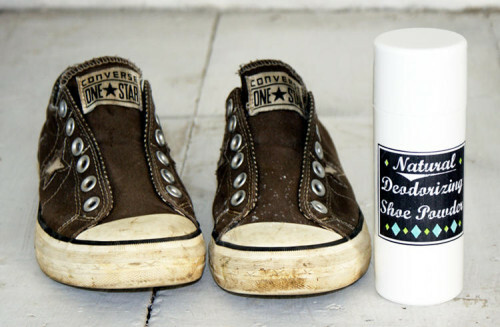 To use, simply shake some of the powder into the bottoms of your shoes overnight or just before wearing to help keep them dry and stink free! For more great DIY ideas like this one as well as homemade soap recipes and bath and beauty DIY’s be sure to follow my boards on Pinterest. You can also keep up with all of my new posts by following on Blog Lovin’ and Tumblr as well as on Facebook, Twitter, Instagram and G+. I have all the ingredients in the house Yay. 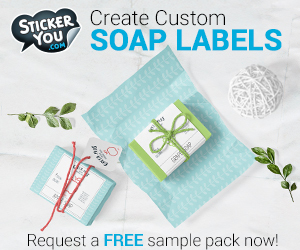 I could totally use this for my teen! Ty! !